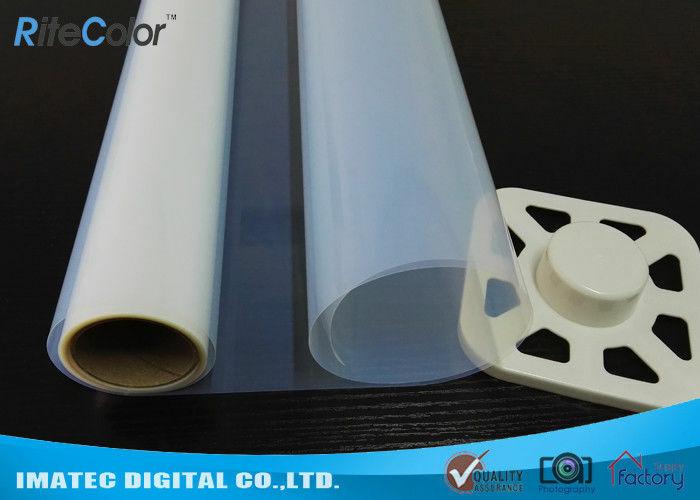 Screen printing film is a PET material based inkjet milky transparent film, widely used for inkjet positive screen printing production purpose. As well, it is used for silk screen printing, plate-making, image setting. The screen printing film is waterproof, with water-based inks printing. This water-resistant transparent film is for Template Making and Inkjet Printing. For silk positive screen printing, and flexographic plate making. It is mainly applied in the field of graphics, commercial, design print application etc. Compatible with Epson, Hp, Canon, Roland, Lexmark, Mutoh, Mimaki inkjet printers, and Colorspan inkjet printers. Imatec is a professional supplier in the filed of large format printing industry since the year 2008. We have the following services for you. Quality Control: We produce according to the markets' requirement under strict quality control, testing before leaving factory, ensure the real quality products into markets. Fast Delivery: Usually 3-5 days for delivery after payment. Package: Load on pallets, pallets for free of charge. Related Products: Resin coated photo paper, proofing paper, inkjet cotton canvas, polyester canvas rolls, pp synthetic paper, wide format inks, canon ipf inks, and so on.